+ Made from selected raw materials of high quality. + Is produced on modern lines, advanced technology, grindstones with high sharpness and durability. + There are blinds made of fiberglass layers strengthen and improve the safety of the rocks. + Suitable for surface grinding stainless steel, alloy steel, iron, cast iron and their welds. 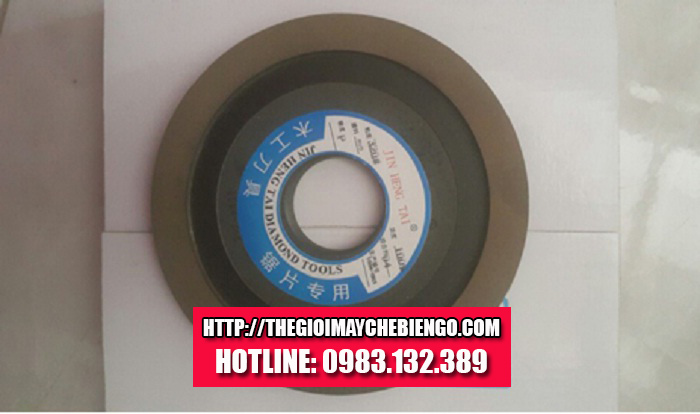 + Stone grinding wheel for sharpening saws and blades perfectly expressed cell during grinding machining steels and conventional high-strength steel. + The particle Aluminum - WA standards not sticky impurities, using a special adhesive. + With the blinds layout bearing layers (BF) creates products suitable for grinding and cutting specifications for the machines in the Vietnam market. + Because of the characteristics on which the grinding wheel with the higher level of excellence and other similar products. + Use grinding wheels not only enhance productivity in the construction process, providing optimum economic efficiency but also to ensure safety for the user.